Wow! 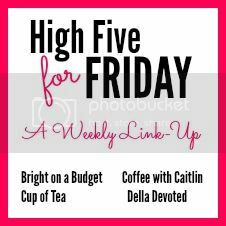 The first High Five For Friday of 2017! 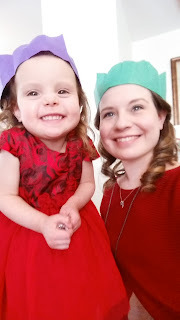 I haven't done one of these in a long time so I thought that I would do a holiday recap in photos. Here we go! We spent Christmas Eve with my family. It was nice to have dinner with everyone and get to spend time together. Miss. E had a blast! She had everyone running around the house playing "monsters" and she played all of the adults out! My in-laws arrived late Christmas Eve (technically, early Christmas Day). Miss. 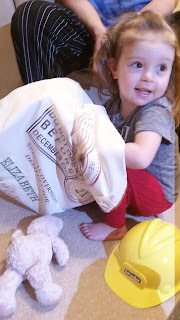 E opened her gifts from Santa in the morning. She received a tool set and a hard hat. She is always stealing Daddy's tools so Santa figured plastic ones would be safer! She was thrilled and set to fixing everything around the house. 3.) 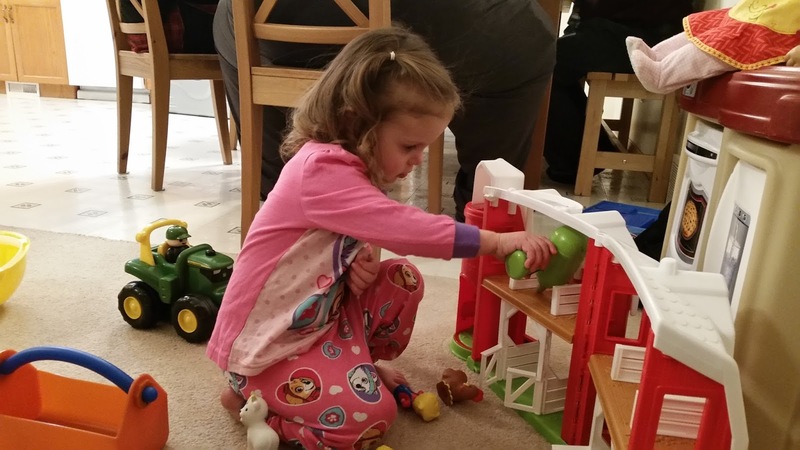 She fixed her barn (a gift from her Grandparents) several times. Ha ha! The animals were grateful. We spent New Year's Eve together at home. I did a little organizing (of course!) and then we settled into some fun activities. 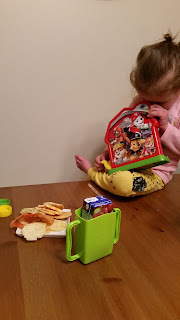 We ate some treats (cheese and crackers, chips and baking). Hubby and I enjoyed a little bubbly and Miss. E enjoyed an apple juice. We played Paw Patrol Bingo, which was fun and watched Fuller House on Netflix. We did a few of those Netflix countdowns with Miss. E and used our homemade noismakers (Yogurt containers filled with macaroni). Miss. E loved every minute! She especially loved yelling "Happy New Year!!!". It was the perfect way to end the year. After Miss. E was tucked in, Hubby and I continued our Fuller House marathon. At midnight we toasted to 2017 and watched fireworks out of our kitchen window (perks of living in a small town, I guess). We don't know who did the fireworks, but they really went all out! 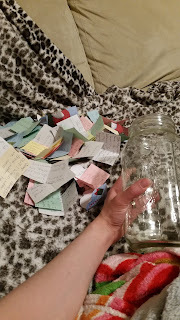 After the fireworks, we read through the gratitude jar. It was a lovely, and emotional, way to look back on 2016. Some of the 'gratitude' slips were about being pregnant and that was hard to read, knowing that we miscarried. There were many happy moments in 2016 and many things to be grateful for. It was nice to be reminded that there was a huge amount of good throughout the past year. Happy New Year, friends! If you want to join in the link up, just click the link below! Have a great weekend! Thank you! Happy New Year to you, as well! Sounds like you had a lovely holiday week! I love how you celebrated NYE as a family and then took time to celebrate and reflect, just the two of you. That is a really sweet idea! Happy New Year! Thank you, Whitney! We really enjoyed our evening at home together! Happy New Year to you, as well! Your crowns are so cute! 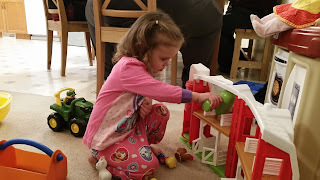 And I love that Miss E kept fixing her barn. "The animals were grateful" made me giggle! I keep seeing the "gratitude jar" idea everywhere, and I think I might try it for 2017. Hope you guys are having a great weekend! Ha Ha! Thanks! They were from our Christmas crackers! The Gratitude Jar is such a great idea. I had taken it off of Pinterest. I encourage you to try it! It is a great way to end the year! 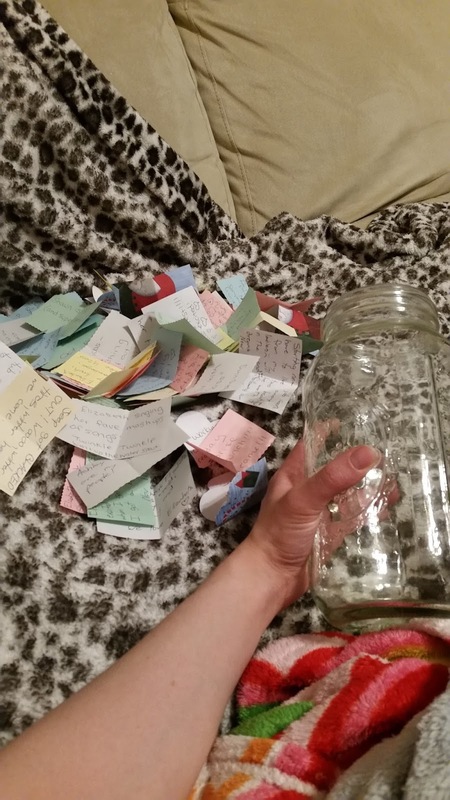 Love, love, love this idea of a gratitude jar! That is just a precious way to start a new year. Happy New Year!